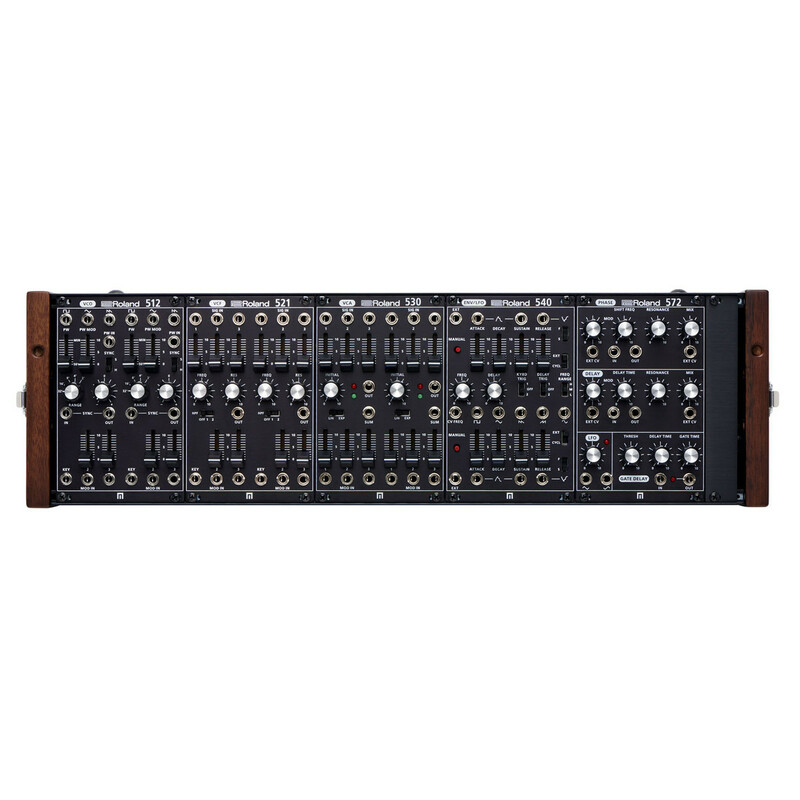 The Roland System-500 Analog Modular Synthesizer was inspired by two of the most revered electronic instruments of all time - the legendary System-700 and System-100M. 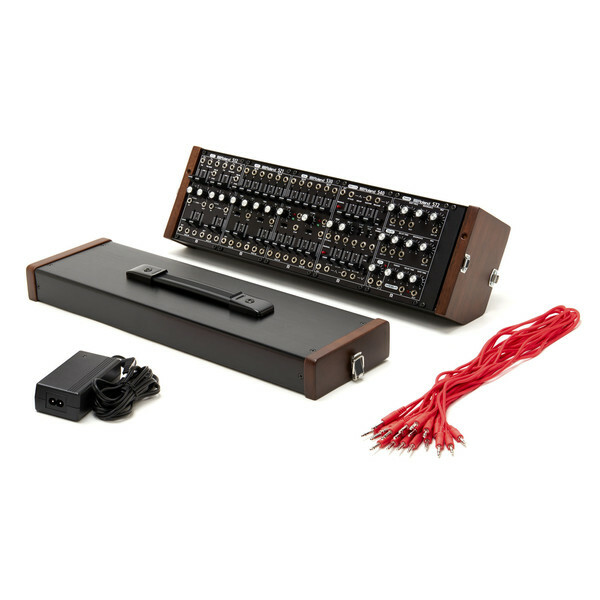 Designed and bulit in the USA, this complete Eurorack system includes multiple oscillators, filters and effects in a versatile custom case with professional-quality patch cables. 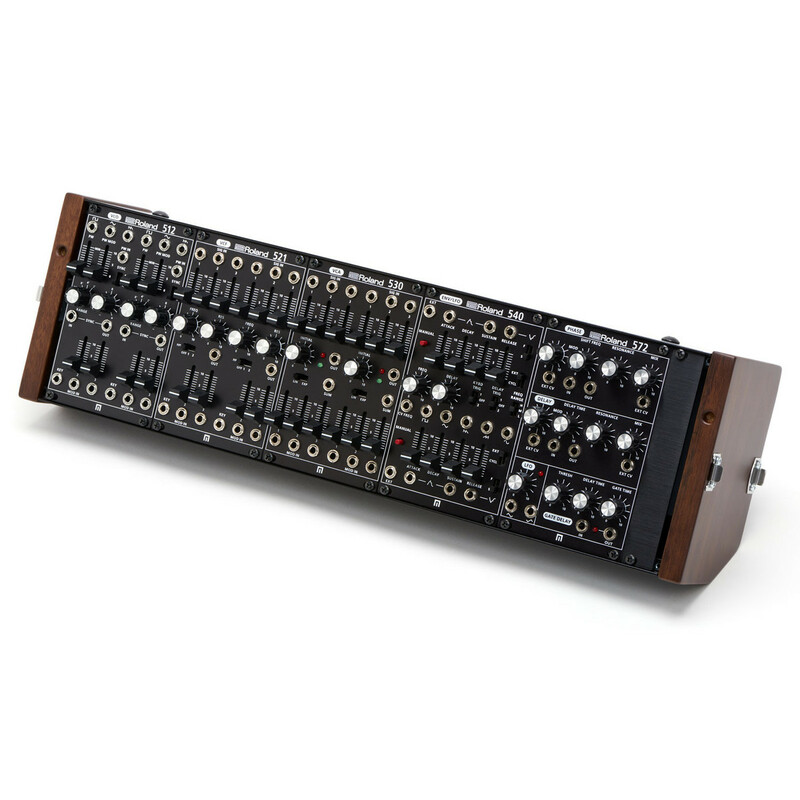 Delivering the classic character and playability of a vintage Roland modular synth, with all the advantages of a modern instrument, the Roland System-500 is perfect as your first modular synth or as the centerpiece of an ever-expanding Eurorack system. 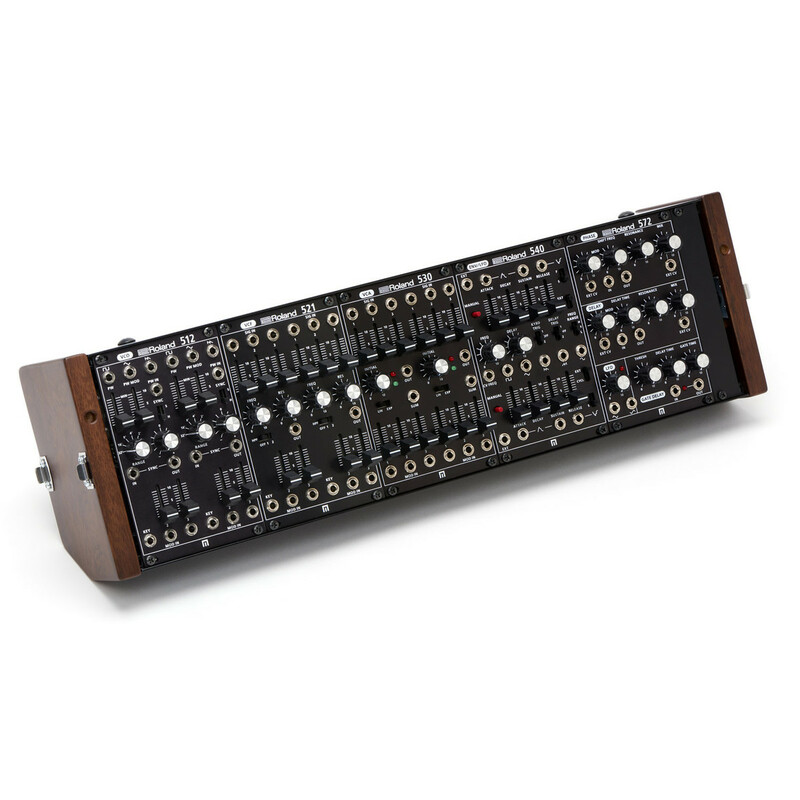 The System-700 and System-100M modular synthesizers were nothing short of groundbreaking in their time, and are revered to this day for their tone and flexibility. Used by pioneering musicians on numerous landmark recordings and sought after by synthesizer enthusiasts around the world, they combined the best of Roland's analog synth technology into supremely powerful modular instruments. With the System-500 Complete Set, you can now own your own modern version of these coveted classics - providing you with the purest vintage analog synthesizer tones imaginable. With two VCOs, two VCFs, two VCAs, two ADSR envelopes, two dedicated LFO sections and a powerful effects module, the System-500 Complete Set is both highly flexible and extremely capable right out of the box. Opening up endless possibilities for musical exploration and sound design, the System-500 sounds simply incredible - it's the sounds you hear in your head when your think of big, warm, analog synth tonality. 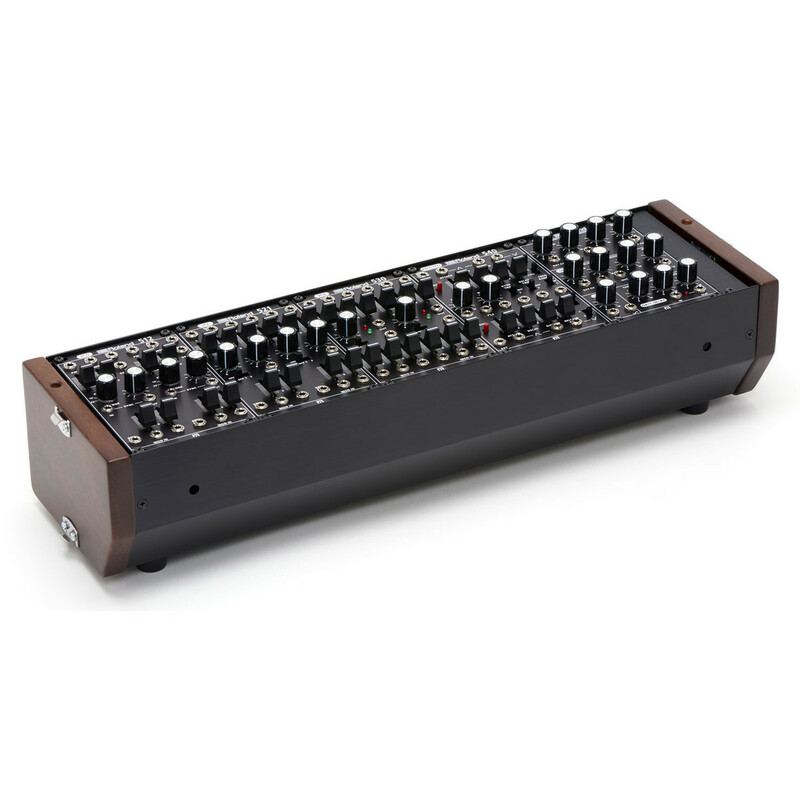 Combining the gold standard for oscillators with sweet filters and snappy envelopes, as well as a thoughtful array of CV/Gate connections and well-placed controls; System-500 is a joy to play and the perfect centerpiece for any modular setup. 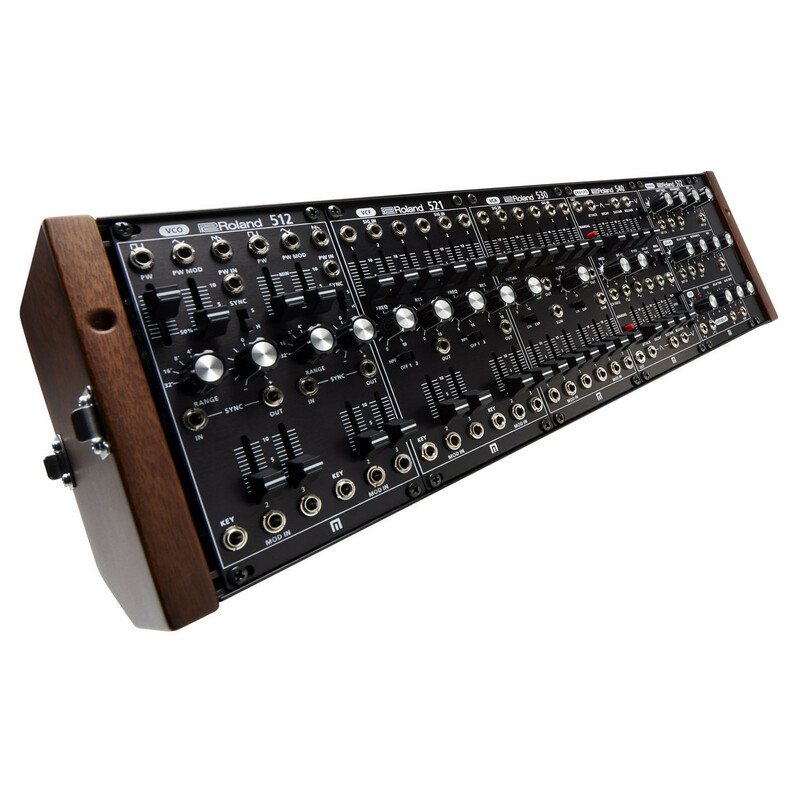 Beautiful and powerful, the System-500 Complete Set has been designed specifically for the Eurorack format, allowing you to easily expand the setup by purchasing and connecting any additional Eurorack module. 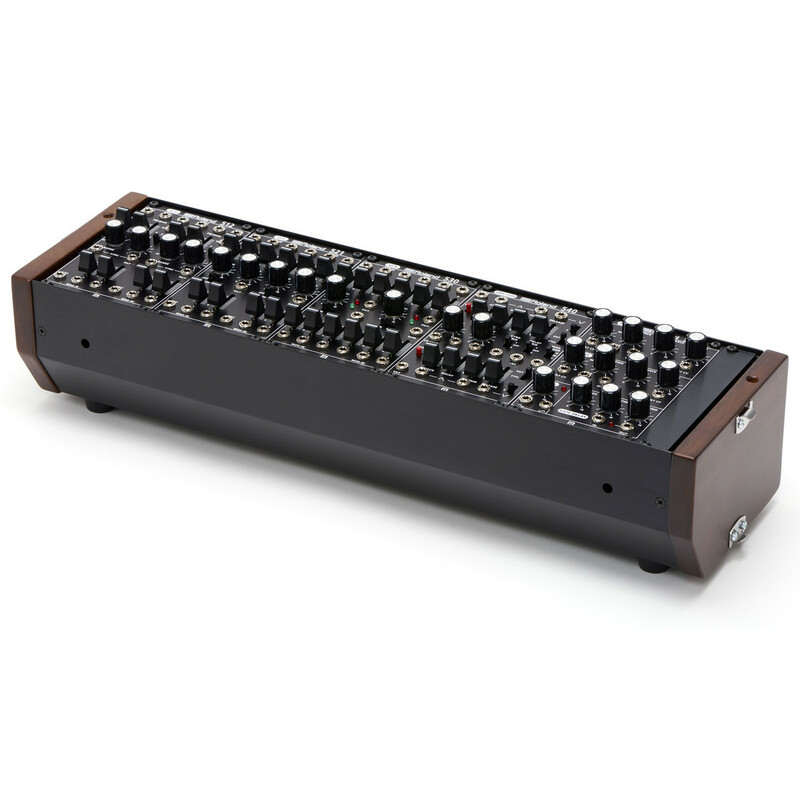 Alternatively, the System-500 can be seamlessly integrated into your existing modular setup, while the wooden and metal case provides versatile positioning options and a clean, stable power supply. Creating an elegant instrument that looks as good as it sounds, this complete system is portable enough to be taken with you and flexible enough that two units together can be neatly stacked together - resulting in a larger, more powerful system. 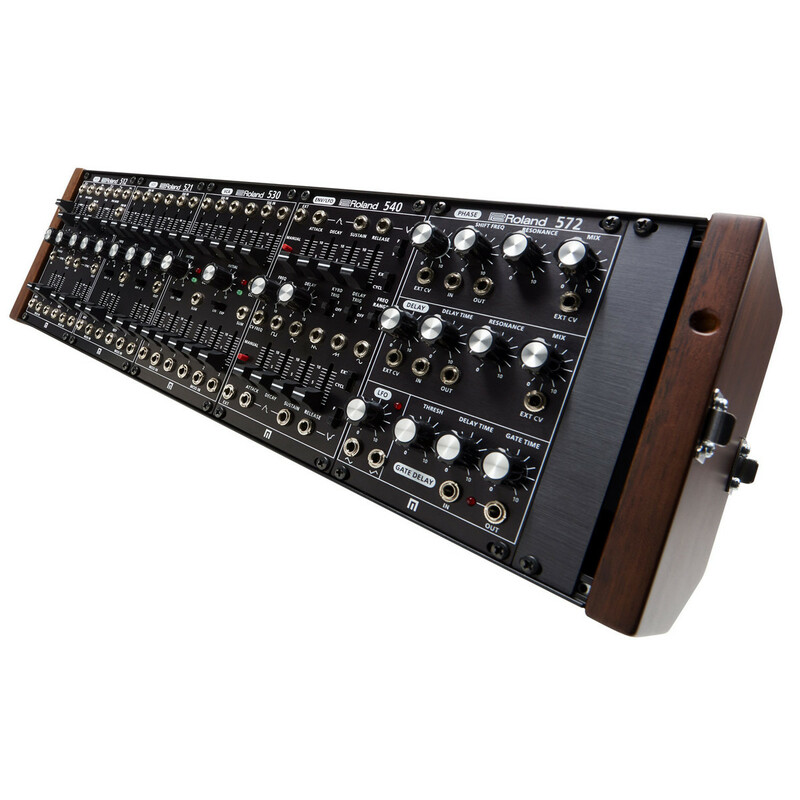 The System-500 Complete Set is vintage Roland modular for the new golden age of synthesizers.